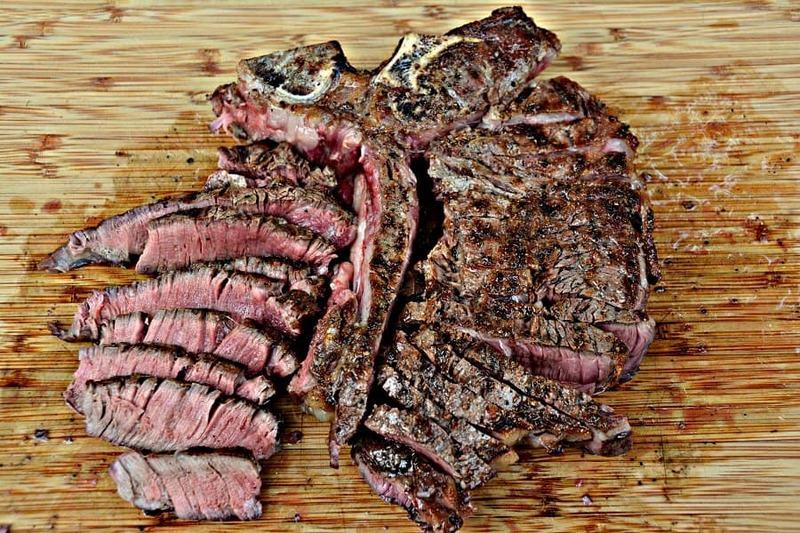 Just keep it simple and a great steak will take care of itself. My “secret” for the perfect Porterhouse steak is the grilling timeline. My minimum requirements are a Choice grade steak that is at least one inch thick. 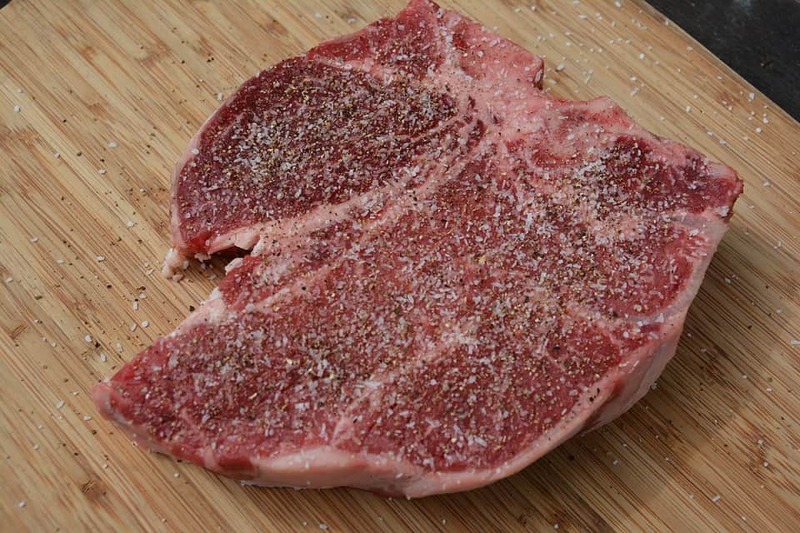 As soon as you are ready to think about grilling take the steak out of the refrigerator and season it aggressively with salt and pepper. 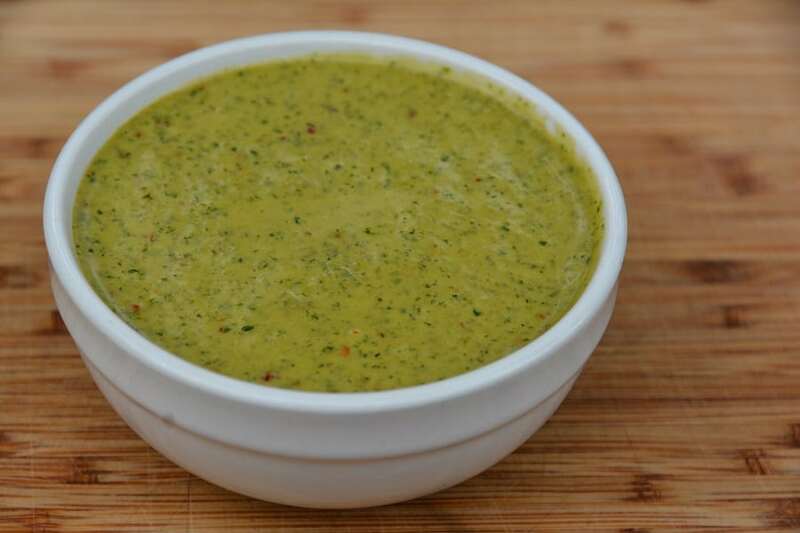 When it comes to steak sauce there isn’t anything better than chimichuri. Some people don’t want to try this because they are put off by the green color. Fill a chimney with a half load of charcoal (enough to fill one charcoal basket) and get the puppy lit. 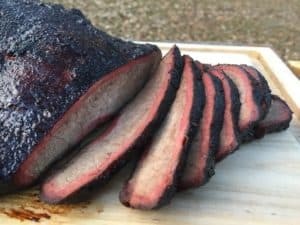 It should take 15-20 minutes for the charcoal to ash over. 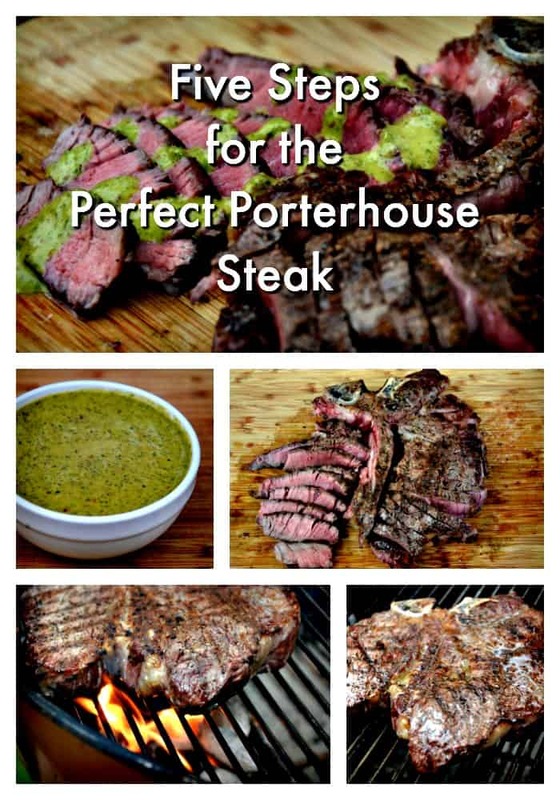 It is important to do this AFTER you make the steak sauce since it will force you to let the steak continue waring and will give the flavors of the sauce time to blend. Once the charcoal is lit add it to the charcoal basket and put the grate on the grill. We are going to sear the steak for six minutes and then let it finish cooking with indirect heat. 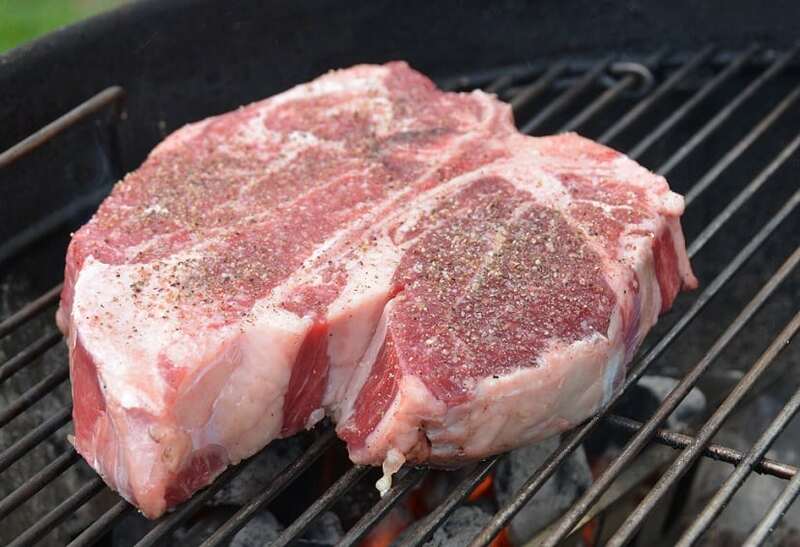 Place the steak directly over the charcoal and start a timer. Wait 90 seconds and then rotate the steak 90 degrees. Wait another 90 seconds and flip the steak over. Wait another 90 seconds and then rotate the steak 90 degrees. 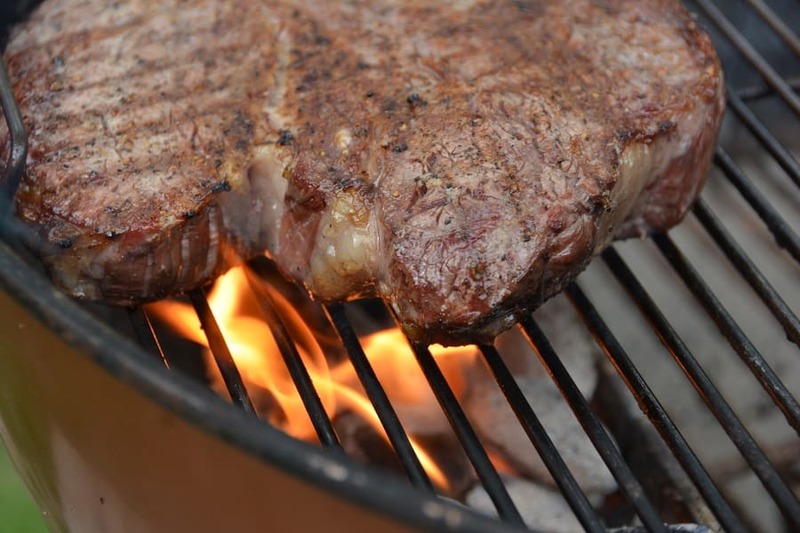 Wait another 90 seconds and then move the steak to the part of the grill directly beside the charcoal. 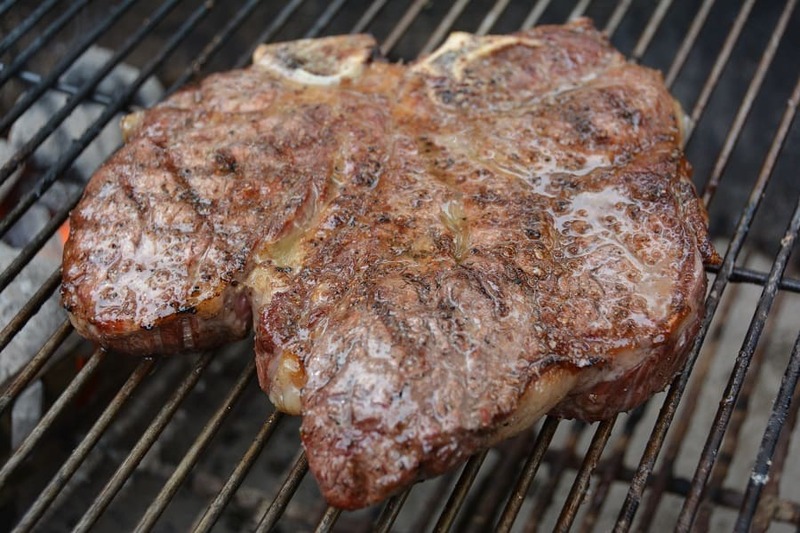 Once the Porterhouse has been moved away from the direct heat you should slather it with melted butter, close the lid, and let it finish cooking to your desired level of doneness. If you are civilized then you will want to pull the steak when it hits 135-140F internal. That will take about 10 minutes of indirect heat but use a thermometer to make sure. I can’t promise you that resting a steak actually makes a difference. The majority of the world says that resting at least 10 minutes is essential. Meathead says you don’t need to bother. Do whatever makes you happy. I was hungry so to heck with waiting. 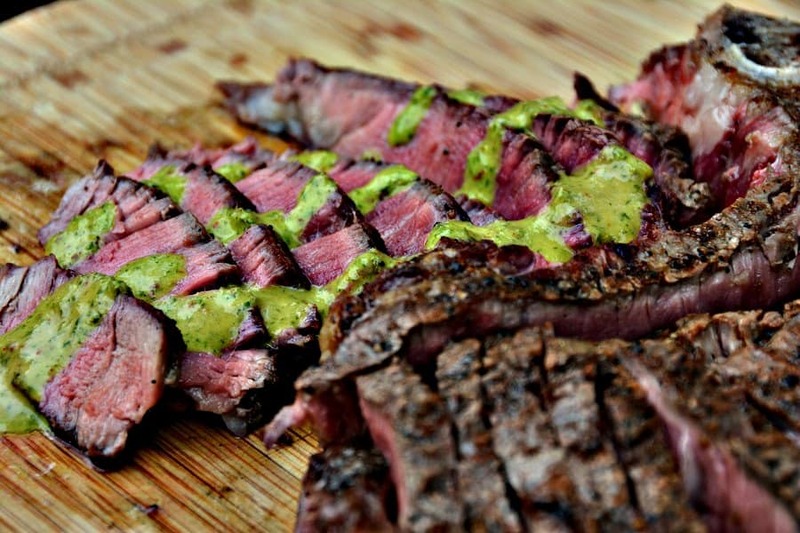 Take some of that glorious chimichuri and pour it on that Porterhouse! Okay…so for you folks that were counting that was more than 5 steps. That’s okay..it was still the best Porterhouse Steak I have ever had!